St Hilda’s Foundation proudly presents The Legacy Luncheon. 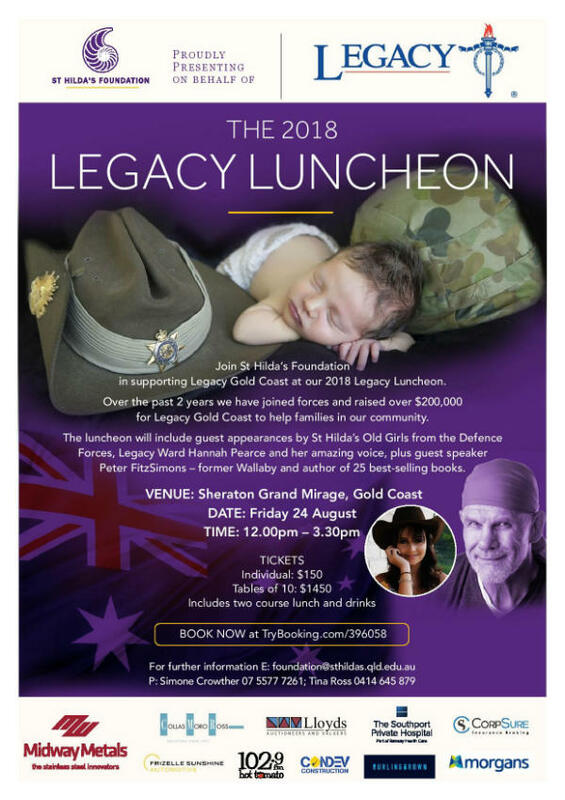 Join former Wallaby, publisher and one of the nation’s most successful media figures – Peter Fitzsimons – as your special guest presenter! Enjoy a delicious two course lunch with drinks and a live performance from Hannah Pearce. Tickets are selling fast… so book your table NOW! Visit trybooking.com/396058 or call 55 777 261.